In fourth year of dentistry, students have the opportunity to work in a rural community for four weeks. I was fortunate enough to visit Cessnock with one other student as part of this program. 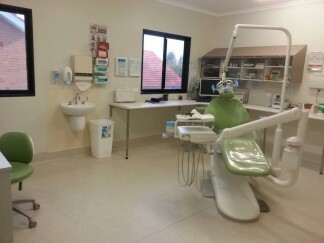 During our placement we worked in the Cessnock Dental clinic for most of the time. The team here was absolutely fantastic and were all so friendly and welcoming. With the guidance of our very knowledgable tutor, we were able to see a wide range of patients. We treated many emergency patients to relieve pain; we also performed many extractions and also many fillings. We also saw a large amount of patients who required dentures to replace missing teeth. One memorable occasion was issuing a denture to a patient missing several front teeth. She was extremely phobic of the dentist and had not been for many years. When she saw the denture for the first time, she actually cried because she was no longer embarrassed to smile. Seeing patients so happy and grateful for the effort you have put into their treatment is the most rewarding experience. Cessnock is a five minute drive to the famous Hunter Valley region. We visited the area on our day off to enjoy some wine and cheese tasting followed by lunch in the beautiful Hunter Valley Gardens. 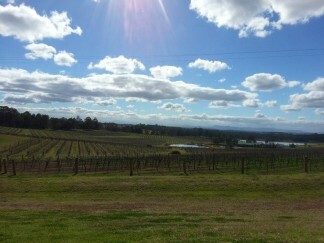 We also visited a lookout at Audrey Wilkinson, the oldest winery in the Hunter. We were lucky to have beautiful sunny weather all day, especially as it was –4 degrees on our first night in Cessnock! We also had dinner with some of the other members of the team at the Cessnock dental clinic. We made some wonderful new friends and really enjoyed these evenings together. I found the placement to be extremely enjoyable, and a really valuable learning experience that I will remember as a highlight of my dental training.